Allison Hedge Coke holds the Distinguished Paul W. Reynolds and Clarice Kingston Reynolds Endowed Chair of Poetry and Writing at the University of Nebraska, Kearney, and directs the Reynolds Reading Series & Honoring the Sandhill Crane Migration Literary Tribute Retreat. She has authored five books including the American Book Award winning volume Dog Road Woman and the Wordcraft Writer of the Year for Poetry volume Off-Season City Pipe, both from Coffee House Press. Hedge Coke came of age cropping tobacco and working fields, waters, and factories. Hedge Coke will be featured at Split This Rock Poetry Festival: Poems of Provocation & Witness, March 10-13, 2010, in Washington, DC. The festival will present readings, workshops, panel discussions, youth programming, film, activism - four days of creative transformation as we imagine a way forward, hone our community and activist skills, and celebrate the many ways that poetry can act as an agent for social change. For more information: info@splitthisrock.org. In connection with Thursday's Poetry Discussion of The Earth In the Attic, I interviewed Fady Joudah about his work. The following is an excerpt from the Writer's Center interview. The full interview can be found here. KH: Your work as a doctor shows up in the content of your work. Other than providing material, how do medicine, or science in general, and poetry intersect for you? What comes of those intersections? FJ: The language of medicine, with its Greek and Latin obsessions, is fascinating. It was also quite metaphorical in its nascent days, in the 18th century for example; even if it likes to denounce that flowery lexicon and pretend a kind of certain specificity, it was originally bound to metaphor and translation in order to achieve a sense or illusion of inevitability, of objectivity, of truth. In that manner it resembles many aspects of poetry. Of course medicine is far more utilitarian than poetry is. Still medicine is a window into the dialogue between power and knowledge, and the politics of knowledge, from which poetry is not exempt. I think Foucault’s The Birth of the Clinic or Sontag’s Illness as Metaphor are each a case-in-point. Fady Joudah's The Earth in the Attic won the Yale Series for Younger Poets in 2007. Contest judge Louise Glück describes the poet in her foreword as, “that strange animal, the lyric poet in whom circumstance and profession ... have compelled obsession with large social contexts and grave national dilemmas.” He is the winner of the 2008 Saif Ghobash – Banipal Prize for Arabic Literary Translation for his translation of poetry by Mahmoud Darwish collected in The Butterfly’s Burden, published in a bilingual edition by Bloodaxe Books in the UK and by Copper Canyon Press in the US. The US edition was short-listed for PEN America’s poetry in translation award in 2009. His most recent translation is of If I Were Another: Poems by Mahmoud Darwish, Farrar, Straus and Giroux, 2009). He was a field member of Doctors Without Borders in 2002 and 2005. Katherine Howell is a poet, the Communication and Development Assistant for Split This Rock, and a Lecturer in Writing at the George Washington University. She lives, writes, and teaches in Washington, D.C. You can read her reviews of Split This Rock featured poets here. Yvette Neisser Moreno will lead the discussion on Thursday, November 19. She is a poet and translator whose work has appeared in numerous magazines and anthologies, including The International Poetry Review, The Potomac Review, Tar River Poetry, and Virginia Quarterly Review. Her translation (from Spanish) of Argentinian poet Luis Alberto Ambroggio's Difficult Beauty: Selected Poems was published by Cross-Cultural Communications earlier this year. In addition to working as a professional writer/editor, Moreno teaches poetry and translation at The Writer’s Center and has taught poetry in public schools in Maryland, Virginia, and Washington, D.C. The Writer's Center is wheelchair-accessible. 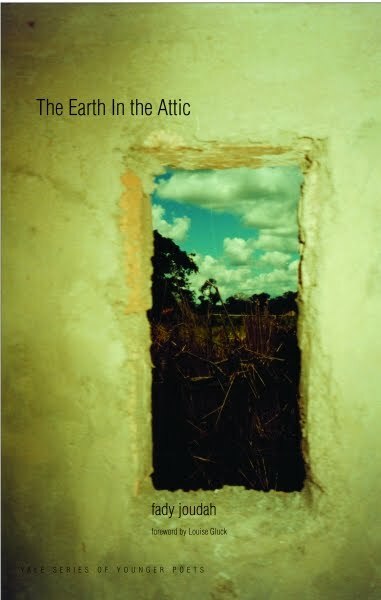 The Earth in the Attic is available for purchase for $16 at The Writer's Center and Busboys and Poets. Fady Joudah - an award-winning poet, translator of Mahmoud Darwish (most recently of the work If I Were Another), and member of Doctors without Borders - will be a featured poet at the 2010 Split This Rock Poetry Festival. The Earth in the Attic won the Yale Series for Younger Poets in 2007. Submissions are accepted from November 15, 2009 to January 15, 2010. Guidelines for submission are available here. Kundiman’s partnership with Alice James Books for The Kundiman Poetry Prize is made possible through the support of Fordham University. How did you come up with the title? What does Arc & Hue mean? The title, Arc & Hue, is culled from a poem in the first section about a little boy and I drawing on the sidewalks outside my mother’s house in Kankakee, IL. I kept thinking of how, as adults, we try to construct these moments so that children have, and hopefully later, recall having positive experiences with us. I know that’s where the poem came from, but when the collection came together the last line of the poem embodied all that longing and potential nostalgia that is easily wiped away. This book grapples with that feeling of holding on to memories we create and letting them go to make room for the rest of our lives. Some people have also hinted that Arc & Hue are two words that describe a woman of color. I appreciate, this, but it was not intentional in writing this book or the poem. Excerpt from The Earth in the Attic by Fady Joudah, Yale University Press, 2008. Used by permission. If you are in the DC-area, please join us on Thursday November 19th, as Joudah's work will be the topic of a discussion led by translator and poet Yvette Neisser Moreno - the first in a series of book discussions brought to you by Split This Rock and The Writer's Center. Joudah will be featured at Split This Rock Poetry Festival: Poems of Provocation and Witness, March 10-13, 2010, in Washington, DC. The festival will present readings, workshops, panel discussions, youth programming, film, activism - four days of creative transformation as we imagine a way forward, hone our community and activist skills, and celebrate the many ways that poetry can act as an agent for social change. For more information: info@splitthisrock.org. Split This Rock, the Social Action & Leadership School for Activists, and Foreign Policy in Focus are proud to announce Bees Swarm and Nowak Speaks: The Art of Extraction. Come to this creative audio-visual mix that will both move and enlighten you. The progressively spectacular art of the renowned Beehive Collective is coming to DC to join forces with the powerful social justice poetry of Mark Nowak. The theme of this blend of sight and sound display will address the true cost of coal and how regular people are challenging its impact. In a rare evening you won't want to miss, "The Hive" and Mark will captivate you with their artistic genius reflecting a passion for social justice. Because space is limited please pre-register here. A suggested donation of $5 would be appreciated for the travel and lodging expenses of the Beehive Collective but no one will be turned away for lack of funds. The Beehive Collective is appreciated internationally for its educational graphics campaigns, at a regional level for its stone mosaic murals and apprentice program, and locally for its dedication to the revitalization of the old Machias Valley Grange Hall, a landmark building in their small, rural town. The Hive has been going and growing since 2000, at full speed! Their most recent campaign is exposing the cost industry's strip mining injustices in the Appalachia. Mark Nowak, Director of the Rose O'Neill Literary House at Washington College, will read from his recent book, Coal Mountain Elementary. A singular, genre-defying treatise from one of America's most innovative political poets, Coal Mountain Elementary remixes verbatim testimony from the surviving Sago, WV miners and rescue teams, the American Coal Foundation's curriculum for schoolchildren, and newspaper accounts of mining disasters in China with photographs of Chinese miners taken by renowned photojournalist Ian Teh. Check out his blog here. The following is an excerpt from Kathi Wolfe's editorial on President Obama's recent signing into law of the Matthew Shepard and James Byrd, Jr. Hate Crimes Prevention Act. Read the full article here. In 1999, Eric Krochmaluk, a man with intellectual disabilities from Middletown, N.J., was kidnapped, choked, burned with cigarettes and abandoned in a forest. Some people worry that the recently signed hate crimes law will inhibit free speech by making it possible to prosecute an individual on the basis of his or her beliefs or speech. Yet, the legislation has provisions that ensure that prosecution would be based only on violent acts based on bias. Disabled or gay, lesbian, bisexual or transgender people don't want to hinder freedom of speech. We just don't want to become the victims of hate crimes. No one will be prosecuted simply for exercising the freedom of speech. And that is how it should be, even if that speech is ugly and bigoted. But once someone commits a violent crime against us because of who we are, that person's bigoted intentions ought to be penalized. Judges and juries, at sentencing, often take into consideration the frame of mind of the criminal. They should do so with these crimes, too. The community has a right to say that bigoted violence is especially corrosive. The Matthew Shepard and James Byrd Jr. Hate Crimes Prevention Act won't end bias-based crimes. But it will put everyone on notice that such crimes will not be tolerated. And for those of us who are vulnerable, it makes us a little less fearful today than we were yesterday. That's something that all Americans should celebrate. Kathi Wolfe is a poet and writer for Progressive Media Project, a source of liberal commentary on domestic and international issues; it is affiliated with The Progressive magazine. without a roadmap to the core. it were my own, a brief symbiosis. we are all crippled by the world we walk in. extended and holding. And that is everything. Excerpt from “After Brand New Highway” from On Writer’s Block and Acrobats (2006), used by permission. Natalie Illum is an activist, writer and federal employee. Natalie is a founding board member of mothertongue and promotes queer and marginalized writers, musicians, and artists through 3Word Productions. She also facilitates poetry and activism workshops in a variety of community venues. Natalie is in the process of adapting her unpublished memoir, Spastic, to the stage with the help of renowned performance poet and director Regie Cabico. 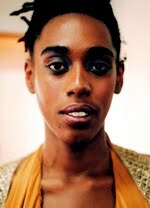 She is currently ranked 25th at the Women of the Worlds Poetry Slam. Illum will be featured at Split This Rock Poetry Festival: Poems of Provocation & Witness, March 10-13, 2010, in Washington, DC. The festival will present readings, workshops, panel discussions, youth programming, film, activism - four days of creative transformation as we imagine a way forward, hone our community and activist skills, and celebrate the many ways that poetry can act as an agent for social change. For more information: info@splitthisrock.org.